Der Artikel Dorit Silverman: Gate of Mercy wurde in den Warenkorb gelegt. Gate of Mercy takes its readers into the heart of the Israeli-Arab conflict, taking the history of modern Israel to the very personal level of intertwined Israeli-Arab families. 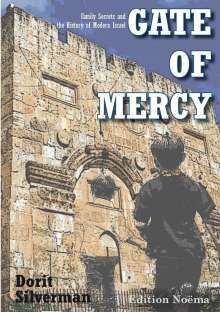 Told from the perspective of eight-year-old Avram, the compelling story unfolds over seven decades. Bit by bit, the long-held secrets of Avram's family are uncovered. A story of love and passion, of destiny and redemption-and of the bonds between different cultures that persist despite all conflicts.